How should Boston fund its future? 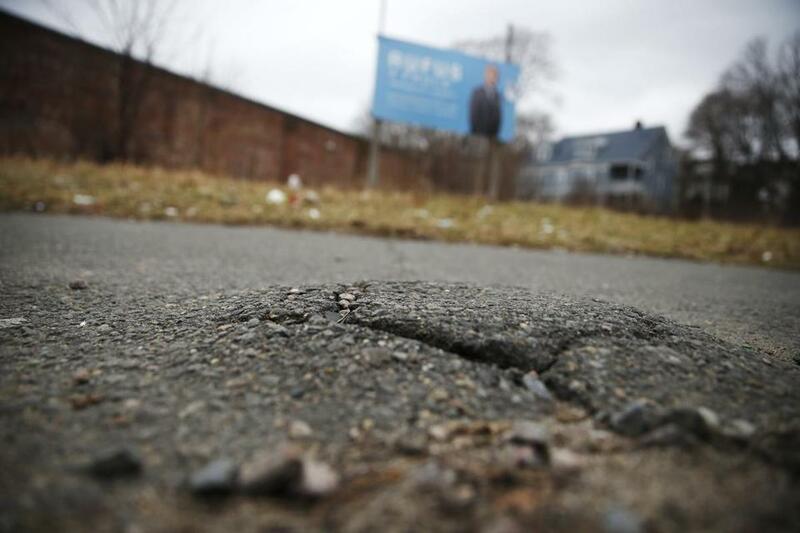 A cracked sidewalk along Warren Street in Dorchester. WE OFTEN TAKE for granted the network of roads and rails, water and sewer lines, and the green infrastructure of open spaces, flood defenses, and a clean electric grid. These features form the structural framework that makes our society work, but they’re not working so well in Boston, and the city can do more to address the problem. Boston’s infrastructure needs have been clearly identified in recent plans focusing on mobility (Go Boston), climate resilience (Climate Ready Boston), schools (Build BPS), and the meta-plan, Imagine Boston 2030. These plans identify a host of physical improvements the city needs to address its 21st century challenges, from encouraging housing production and improving transit to creating new open space resources and “smart city” infrastructure. These initiatives do not have to rely exclusively on public investment; local park or transit station improvements can be attached to private development projects. Taking this a step further, the city has issued a request for ideas on how private investment can rebuild outmoded fire stations and libraries to include housing. Private philanthropy is also playing an increasing role. Open-space organizations like the Trustees of Reservations are pursuing major parks, and the city is exploring how to create an independent investment vehicle to garner charitable donations for affordable housing and small-business development. However, many needed physical improvements require direct public investment. Private parties can’t be expected to make neighborhood main streets pedestrian- and bike-friendly or construct regional flood protection barriers, not to mention to provide the full complement of affordable housing, commercial, civic, and cultural space the city needs to grow in an equitable way. Past generations knew it was their duty to improve the landscape, but we treat tomorrow’s green infrastructure like an optional frill. How much should the city spend to implement the planning ideas it has so carefully identified? This question is acutely important, because there is no meaningful federal urban policy, and state aid to Boston has been relatively level-funded. Boston is mostly on its own to address its needs. Fortunately, Mayor Marty Walsh has continued the fiscally responsible budgeting of his predecessor; Boston has a AAA bond rating from the two major rating agencies. Boston should use its supreme credit-worthiness to spend more on its future. As a rule of thumb, rating agencies prefer borrowing costs to constitute not more than 7 to 9 percent of a city’s operating budget. This fiscal year, Boston has devoted a modest 5.8 percent of its operating budget to debt service. Walsh will submit his budget to the City Council this week for the fiscal year that begins on July 1. If the budget assumes borrowing costs of even 7 percent, the low end of the accepted range, the city could increase its debt service costs by approximately $30 million, even assuming a slight increase in historically low interest rates, to support greater borrowing for the planning imperatives it has identified. The city can prioritize improvements in neighborhoods less likely to reap the rewards of private investments and those that serve multiple purposes, like completing the Emerald Necklace along Columbia Road — another initiative highlighted in the Imagine Boston plan. In addition to the social returns of improving access to housing and parks and protecting residents from climate volatility, these public investments will create jobs, stimulate private investment, and raise additional tax revenue over time. Of course the city would need to take the additional dollars spent on debt service from somewhere else in the budget. But in addition to possibly capturing revenue through district improvement financing or user fees, the city will reap increased real estate tax revenue from prudent planning investments that will increase its debt service capacity. The city has taken important steps to plan its future. 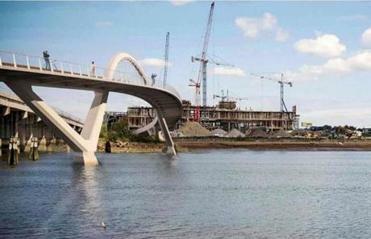 Infrastructure spending is a down payment on that future that will pay literal and figurative dividends. Let’s hope the upcoming city budget takes the long view too. Matthew Kiefer, a Boston land-use attorney, is a director of the Boston Municipal Research Bureau. Sam Tyler is president of the Research Bureau.